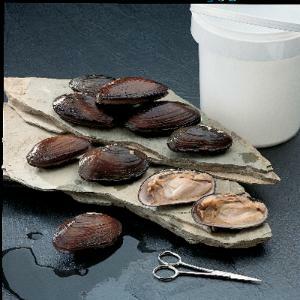 Formalin-preserved molluscs are available in pails. These thin-shelled mussels are excellent examples of freshwater molluscs and are easy to use for mollusc anatomy and bivalve dissection. Large and medium shells are pegged, and small shells are unpegged.